To access videos of History of Medicine Society lectures, click on link and in "Search all Media" box, type History of Medicine Society to retrieve listing. All lectures in this series begin at 6:00 p.m. and are free and open to Mayo staff, residents, students, patients, visitors and the community. In order to provide adequate seating and food for these events please RSVP at least 2 days before the presentation. Phone (507) 284-3676 or email: lane.hilary@mayo.edu. Douglas J. Lanska, MD, MS, MSPH, FAAN, Professor, I. M. Sechenov University, Moscow, Russia. Honorary Fellow, University of Wisconsin, Madison, WI. October 2 (Wed.) Geffen Auditorium, Gonda Bldg. Pummer Building, 15th floor, room 15-07. The W. Bruce Fye History of Medicine Library is a specialized library housing important collections in the history of medicine and allied sciences. Several thousand volumes of rare medical classics (from 1479) and early journal literature (from 1665) comprise the core collection of primary literature on all aspects of medicine and allied fields. 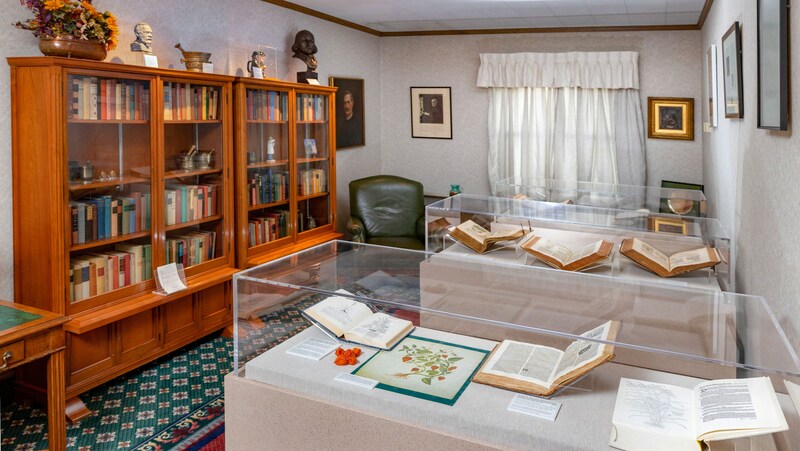 More recently published histories, biographies, facsimiles, and other support materials comprise the remainder of the collection of some 23,000 total volumes. Special strengths include anesthesiology, cardiology, dermatology, immunology, ophthalmology and neurology. The library also has a large collection of Mayo physician bound reprints. Older works are non-circulating and may be used by calling for an appointment (284-3676). Contemporary support materials (recently published historical accounts, biographies, etc.) are available for circulation. Borrowing privileges are extended to faculty, students and employees of Mayo Clinic. General Info, Biographical Searches, Iconographic Indices, Organizations, & finding Out-of-Print books. Their collections are reputed to have formed the nucleus of Mayo Clinic Library in the 1940’s. Links to online resources for those interested in researching the History of Medicine. This public-facing website honors the history, heritage and culture of Mayo Clinic with useful information and multimedia content. Mon-Fri 9:00 a.m. - 1:00 p.m. Call or email for other arrangements.